Bletchley Park is an estate in Milton Keynes, Buckinghamshire, England. It was the site of the United Kingdom's main codebreaking team during World War II. Now, Bletchley Park is home to the National Codes Centre and the National Museum of Computing. The Government Code and Cypher School (GC&CS) and Station X, a secret radio interception station, were also at Bletchley Park. The information gained by workers at Bletchley Park was very important for the Allied war effort. In 1939, in Warsaw, the Polish military showed French and British intelligence agents their cryptanalysis of the Enigma. They promised each delegation a Polish-built Enigma. Having an actual Enigma machine, and knowing how to use it, was a much needed start for the British work at Bletchley Park. Dilly Knox and Alan Turing were later joined by many other codebreakers and engineering staff. Sir Harry Hinsley (a Bletchley veteran and the official historian of British Intelligence during the Second World War) said that Ultra shortened the war by two to four years. The outcome of the war would have been uncertain without it. One of the reasons for choosing Bletchley Park for this task was its location. 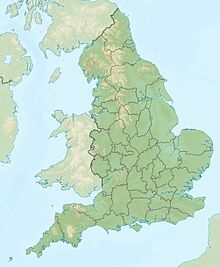 By train, it is about 46 miles (74 km) north-west of London, 32 miles (51 km) from Oxford and about 45 miles (72 km) from Cambridge – all important university cities. Bletchley railway station is close-by, on the junction of the West Coast Main Line and the Oxford–Cambridge Varsity Line. Apart from the railway lines, Bletchley Park was not near any other likely bombing target. ↑ Hinsley, Harry (1993), The influence of ULTRA in the Second World War, retrieved 31 August 2010 Transcript of a lecture given on Tuesday 19 October 1993 at Cambridge University. This page was last changed on 21 November 2018, at 17:12.